Hi there! Before we go any further, we’d like to introduce ourselves. We’re a non-profit organization that acts to promote and defend the rights of adolescents and youth. Through communication, education and advocacy, we organize teens, youth and educators to promote a just, participative and plural society. How do we do that? Through educommunication and peer education. Educommunication is our way to communicate and educate at the same time, establishing a real dialog and effective participation. Conceptually, educommunication is a set of actions that aims to amplify self expression in educational spaces, as well as to develop critical spirit in users. And all this happens in a very democratic way. It’s important to emphasize that all the work we do is based on the understanding that adolescentes are subjects of rights. Therefore, they need to be considered in their unique condition of development, with specific vulnerabilities and potentialities, acknowledging their cultural, social and racial diversity. In Viração, we’ve been doing that since 2003! Through our work, we’ve impacted the lives of millions of people, collaboratively producing communication products with and for teens and young people throughout Brazil. We’ve published magazines, guides, documentaries, fanzines… we even run an online news portal! Besides working to reach the whole development of young people, we also act to establish a whole and integrative communication, one that is understood not only by its technological and instrumental end. Viração also executes projects and provides consulting services for organizations willing to work with different issues that affect younger generations, such as health, gender and sexuality, environment, climate change, education and culture. 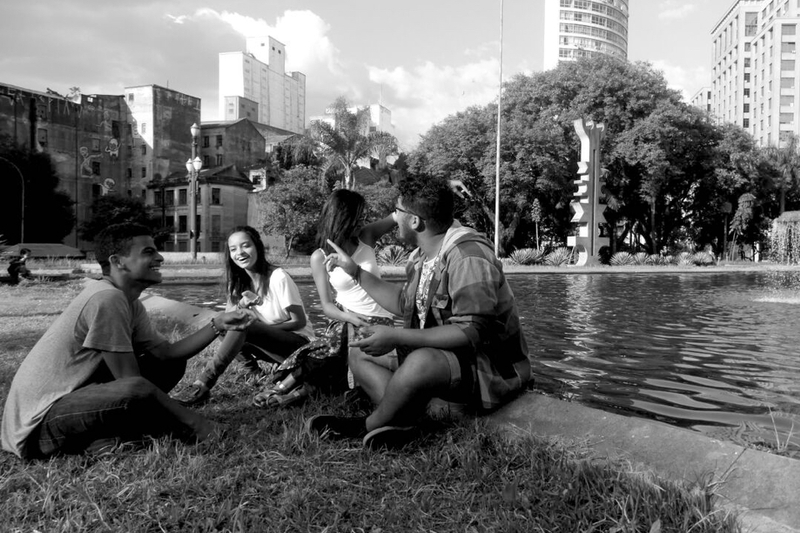 Our work around mobilization and advocacy has proven to be so effective that, besides our headquarters in the city of São Paulo, we rely on a articulated network of adolescentes and young people from 22 different Brazilian states, and the Federal Disctrict. In 2016 we funded Viração’s international branch, Viração&Jangada, in Trento, Italy. To inspire and to connect adolescents and young people to build a just, participative and plural society through educommunication processes and practices. Adolescents and young people with guaranteed rights and actively participating in the transformation of the world.